Program Services believes it is the responsibility of each mental health professional to determine if the continuing education courses they complete will qualify for continuing education in the state(s) they are licensed in. We provide the following resources to assist you in making these determinations. If you have any questions or concerns we encourage you to check with your state and/or professional organization before making a decision concerning your continuing education requirements. Requirements change frequently and vary a great deal from state to state. Below are links to state professional organizations are credentialing boards. Results of State and Provincial Mandatory Continuing Education (MCE) Requirements Survey. This is a survey of all the US States and Canadian Provinces concerning their CE requirements. The results include the number of CE credits required and in what time period, whether they accept APA approved sponsors, any specific requirements (e.g., ethics), and the deadline for acquiring the CE credits. The roster of ASPPB Member Boards. 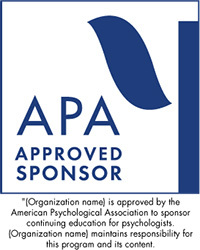 The ASPPB provides a directory of 62 state, territorial, and provincial psychology boards. It includes names, addresses, phone numbers, and some Web links to its member boards. The NBCC provides several specialized national certifications for mental health professionals. This is an explanation of the certifications and the continuing education requirements for them. The NBCC provides a directory of the state licensing boards for LPCs, CPCs, and LMHC. The directory includes contact names, addresses, phone numbers, email contacts, and Web sites where available. Directory of State MFT Licensing Boards. The AAMFT provides a directory of state licensing boards for Marriage and Family Therapists. The directory includes contact names, address, phone numbers, email addresses, and the Web site where available. The NAADAC provides a national certification program for alcohol and drug abuse counselors. This link provides information on the recredentialing requirements. The ATTC provides a directory of state and national boards providing credentialing for drug and alcohol counselors. The directory includes addresses, phones numbers, types of credentialing offered, and the requirements for credentialing and recredentialing.